No one expected the government to suddenly acknowledge the existence of demi-human species like harpies and centaurs, but when a careless Integration Agent shows up on Kimihito Kurusu’s doorstep with an attractive Lamia in tow, he suddenly finds himself designated as a “Host Family”. This might not be so bad, except that while Miia’s top half is all girl and quickly develops a crush on her new human host, her snakelike bottom half makes that crush literal with a tendency to squeeze the life out of him! Plus, there’s also the little problem that it’s illegal for humans and non-humans to have THOSE kinds of relationships. With woman-in-black Agent Smith always sniffing about for improprieties, things only get more hectic in the Kurusu household when bird-brained Papi the harpy and master-seeking centaur Centorea need places to roost and stable. As the house gets crowded with even more captivating cuties, can any human male survive under such tempestuous and tempting conditions? 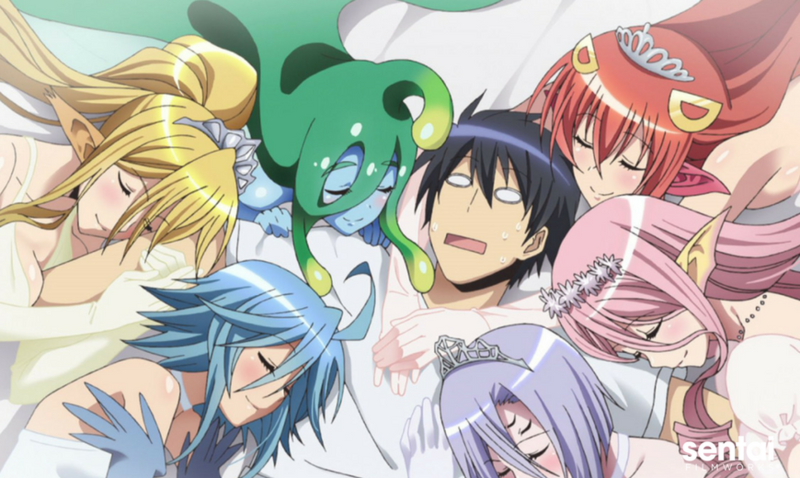 Find out in MONSTER MUSUME: EVERYDAY LIFE WITH MONSTER GIRLS!